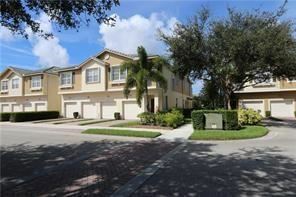 The Lexington Lakes community is located in the beautiful city of Stuart off Lexington Lakes Drive. This community is off Indian Street by U.S. Route 1, Federal Highway. As a man-gated community, Lexington Lakes consists of 264 condos and townhouses. It offers a clubhouse with a pool and is very pet friendly. Residents enjoy a tranquil setting while being close to retail and restaurants. Click any of the buttons below to view current available Lexington Lakes townhouses for sale or Lexington Lakes townhouses for rent in Stuart. If there is any house you would like more information on in the Lexington Lakes community, call us at (772) 334-8600 or email us. Being part of the Lexington Lakes neighborhood provides the local residents a tropical paradise lifestyle, known only to tourists as the perfect vacation spot. In addition to scenic waterfront views in the Treasure Coast, you’ll have outdoor activities, beautiful beaches, top notch shopping, and an entertaining nightlife at your fingertips. This small gated community was built by Centex in 2006 and offers 2 to 3 bedrooms with garages. the square footage is around 1,100 square feet to 1,800 square feet. This is an all age community and very friendly to all. Enroll to save searches, favorite listings of Stuart townhouses for sale, and choose to receive an email of any new listing and price changes for this neighborhood or others. You only need to register once, and can discontinue at any time.